What an incredible undertaking. 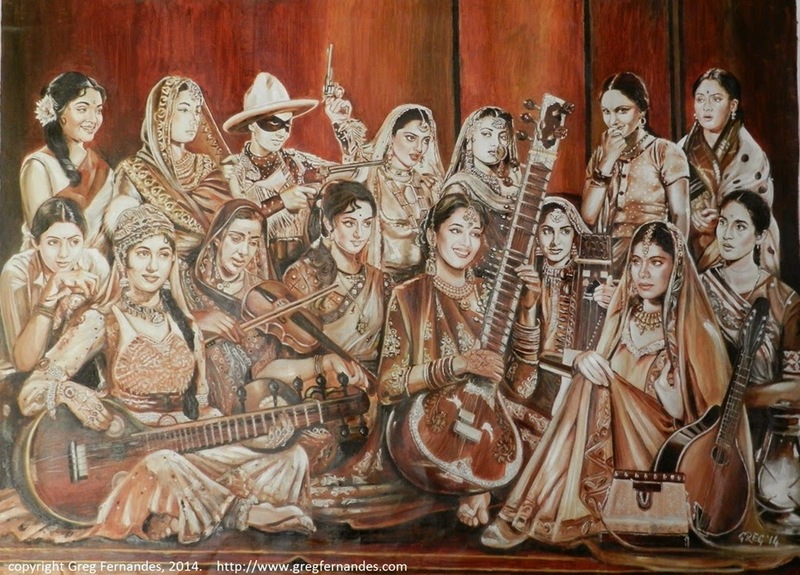 Artist Greg Fernandes's brush with Bollywood. Impressive. You can see a sketch of Sridevi from Sadma above. 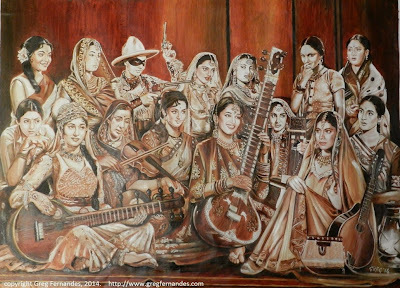 Simply beautiful work of making a rare collection of 15 actresses of Bollywood, accommodated in one place in one picture, all famous of their time spanning over 60 years. Hats off for Mr. Fernandes.